Los Angeles Kings left wing prospect Tanner Pearson. 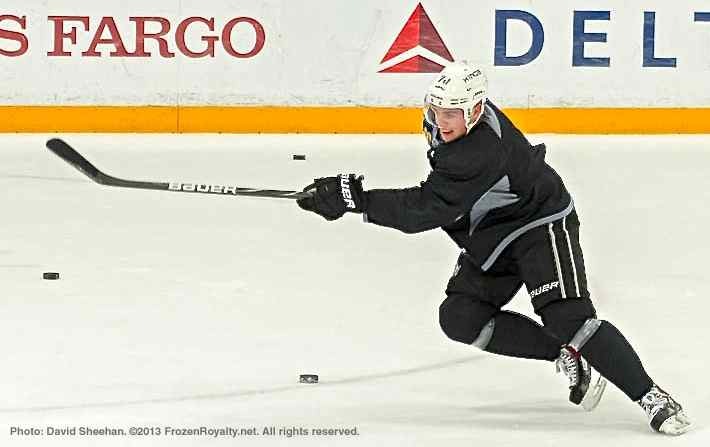 EL SEGUNDO, CA — This time around, rookie left wing Tanner Pearson is determined to make an impact, and stay with the Los Angeles Kings for the long haul. 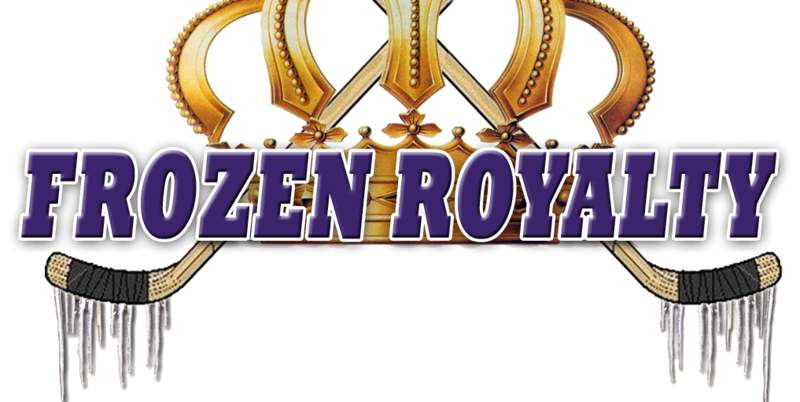 Last time, the 6-1, 200-pound native of Kitchener, Ontario was recalled from the Manchester Monarchs of the American Hockey League on November 13. In six games with the Kings, he scored one goal, his first in the National Hockey League, before being sent back to Manchester on December 3. Although he scored his first NHL goal during that last stint with the Kings, Pearson, who was selected by the Kings in the first round (30th overall) of the 2012 NHL Draft, was in and out of the lineup, and he struggled a bit. After returning to the Monarchs, Pearson scored six goals and added eight assists for 14 points, with a +1 plus/minus rating and six penalty minutes in 15 games. He also recorded a hat trick in 3-1 win over the Bridgeport Sound Tigers at the Verizon Wireless Arena in Manchester on December 15. By the looks of things, upon his return to Manchester, Pearson hit the ice skating, to coin a phrase. But now, Pearson has something to prove if he really wants to stick around. On top of offensive production, Pearson will have to show improved defensive play in order to remain with the Kings. In fact, during his last stint, head coach Darryl Sutter was rather blunt about weaknesses in Pearson’s defensive play, noting that the 21-year-old needed to pay greater attention to the defensive zone, and be more reliable on the defensive side of the puck. Pearson acknowledged those issues and indicated that he has improved in that area since then.